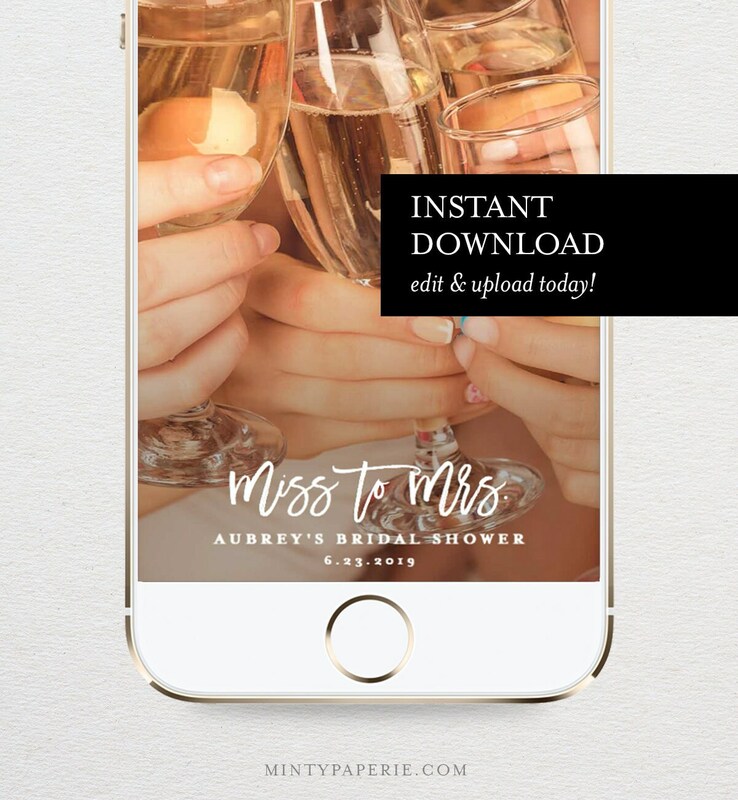 This listing is an "INSTANT DOWNLOAD" that includes a "Miss to Mrs" Bridal Shower / Bachelorette SnapChat Geofilter template. 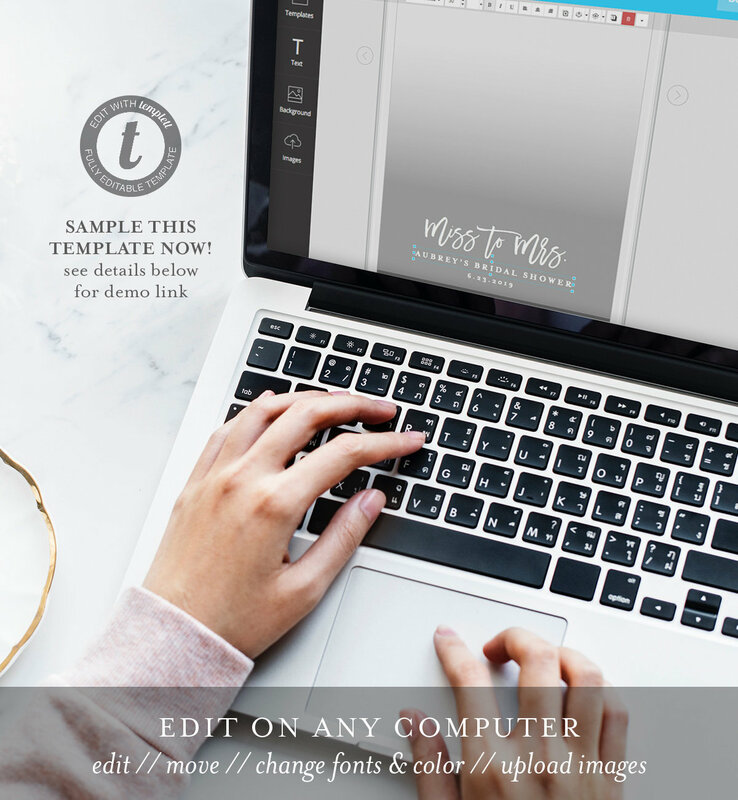 A simple way to make your bachelorette festivities even more memorable and unique. 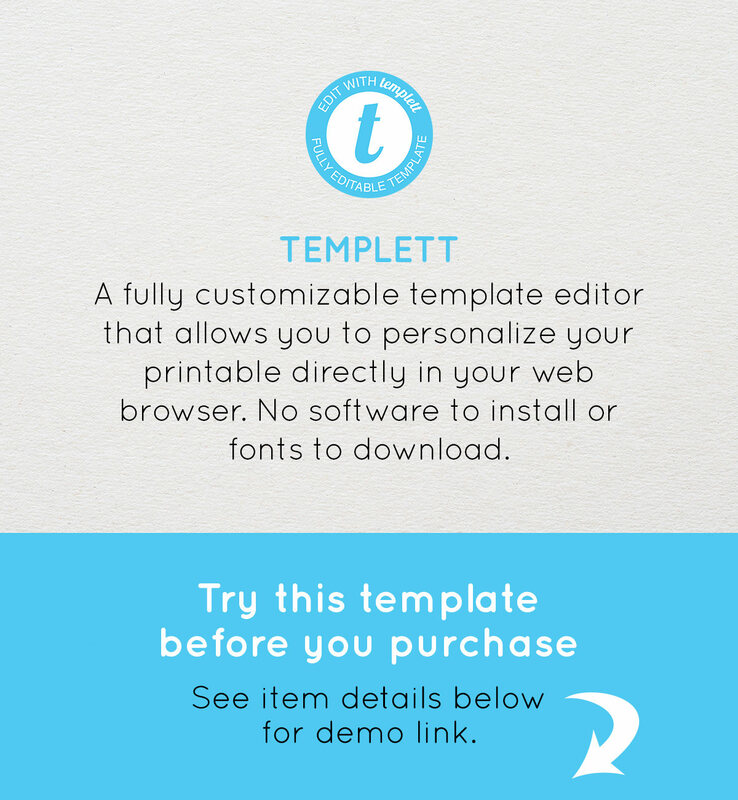 Arrived quickly and super user friendly. I loved having this filter for my bridal shower!